The US military abounds with stories of soldiers sacrificing their lives to save each other. And when you ask a hero how they could be so brave, the answer is always the same. 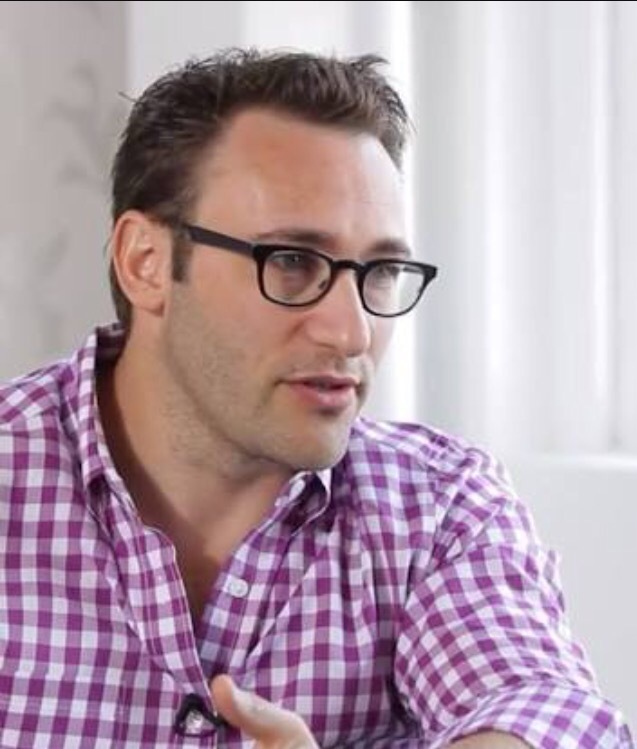 When Simon Sinek, author of Leaders Eat Last, heard about these military heroes, he wondered why you never hear stories like this in the business world. At first, he thought that the military just attracted better people. But he soon realized that it had nothing to do with the individuals, and everything to do with the environment – an observation he explained to the World Business Forum on Wednesday. Human beings are inherently social animals. It’s the only reason we’re still alive. Thousands of years ago, we had no guns to protect us from saber-toothed tigers. Instead, we surrounded ourselves with people whom we trusted, creating “Circles of Safety,” to protect us from the dangers that lurked outside. Today, businesses are supposed to be Circles of Safety that protect us from the dangers of our competition, the stock market, etc. But in most businesses, employees don’t feel safe. They’re protecting themselves from getting thrown under the bus – and it’s literally killing us. As low levels of the stress hormone cortisol constantly runs through our veins, it inhibits our immune systems and is a major factor in the global health epidemic. As if you needed another reason to skip work. So how do you create a Circle of Safety? It’s up to your leaders to set the tone of your environment. But you can be a leader even if you’re at the bottom of your organization’s totem pole. Here’s how. 1. Know the definition of leadership. There’s a reason nobody is upset that the company CEO makes more than entry-level employee. We all accept that leadership comes with perks, but that comes with a caveat. The group gives the leader all those perks because when the Circle of Safety is threatened, it’s not the entry-level employee that’s supposed to face the danger head-on. It’s the leader, the CEO. And this is why you can have a high-ranking position and not have a single person who would follow you in times of crisis. 2. Congratulate someone in public. Imagine that your company sends a weekly email congratulating that week’s best performer, and this week it happens to be you. You see your name in print, and you smile with pride. Now, imagine that your company did the exact same thing, but you were asked to stand up in a meeting and praised for your accomplishments in front of the entire company. Which feels better? The reason you said the meeting is biological. When you’re praised in front of others, you’re flooded with serotonin. If you worked with a team and if you thank that team in an acceptance speech, they’re flooded with serotonin too. “It’s about the public recognition that makes us feel valued and valued to the tribe,” said Simon. Do you want to help someone feel included in your company? Is there someone who’s been doing an exceptional job lately? Congratulate them in public, and watch the company morale soar. We’ve said before that one way to cut down on the number of emails you receive is to call the sender back. It’s far more efficient and clears out your inbox. But it turns out there’s another benefit as well. People value when others take time and energy out of their day for them, because both are non-redeemable commodity. When you call instead of email, that person gets a surge of oxytocin, the ‘love’ chemical. By taking time and energy out of your day, that person thinks they must matter, likes you more and is far more willing to be nice to others. Earlier, we said that leadership is the process of forgoing your self-interest for others’ sake. Good leaders sacrifice the numbers to save the people. It’ s never the other way around. But it’s tough to make the big decisions if you’re not making small sacrifices every day. So hold the elevator door open, even if you’re running late for a meeting. Help that stranger pick up all the papers he just dropped. You’ll get oxytocin, the stranger will get oxytocin, anybody who witnesses your generosity will get oxytocin – and you’ll all be better for it. Decisions like this aren’t always easy. That’s exactly why you have to practice being nice in all areas of your life.